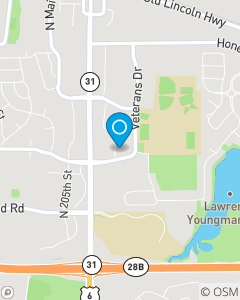 Mark Emsick Insurance Agency, Inc.
2 Blocks east of the intersection of 204th St and Veterans Dr in Elkhorn. The Mark Emsick State Farm office offers insurance and financial services with friendly personal local customer service 24/7. As your local State Farm office, we are committed to providing you with personalized insurance protection for your auto, home, renters and life Insurance needs, along with personalized financial services. Whether it's providing you with a free auto insurance quote, or assisting you with an insurance claim, we are here to help you 24/7! Meet our Elkhorn Insurance office team with over 25 years of State Farm Insurance experience! Whether you need auto insurance Elkhorn or homeowners insurance Elkhorn, you will get the right coverage and the best customer service with us. We are all dedicated to offering our customers the best local customer service 24/7. Moving to Nebraska...Let us transfer your insurance coverage and welcome you to our great state. Call, email, or stop in today!